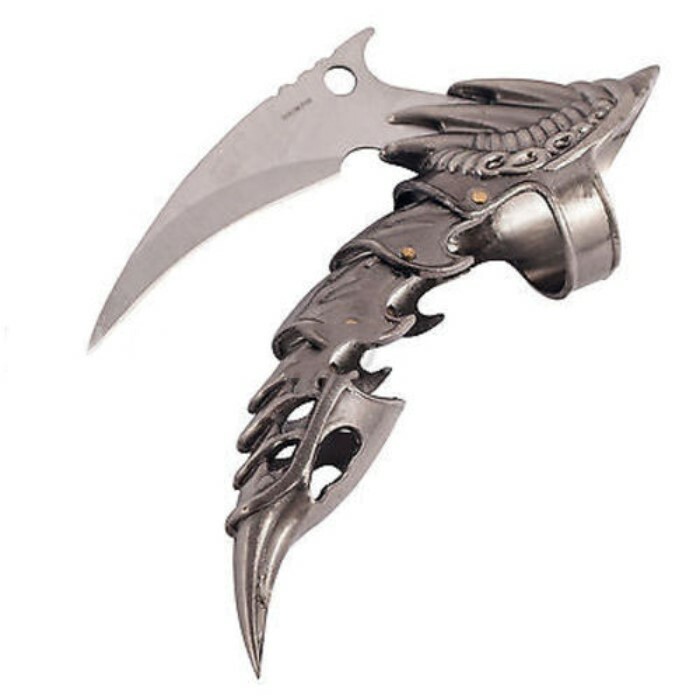 This knife is soo cool! I ordered mine and VERY excited to get it! What a menacing looking weapon! I actually underestimated these. I saw them as a costume piece, maybe a flashy letter opener, but never expected the tips of them to be as sharp as they were. After some extra sharpening of the blades and tips, (as well as a bit of metalwork to better fit them to my abnormal fingers) I was able to actually slash through tree bark, cardboard, and a punching bag. Only complaint is the finger holes are a tad big, undoubtedly to fit all fingers. To refit, just use a lighter to heat the loop, and (wearing gloves, of course) ply it to your fingers. I loved these, and got 10. 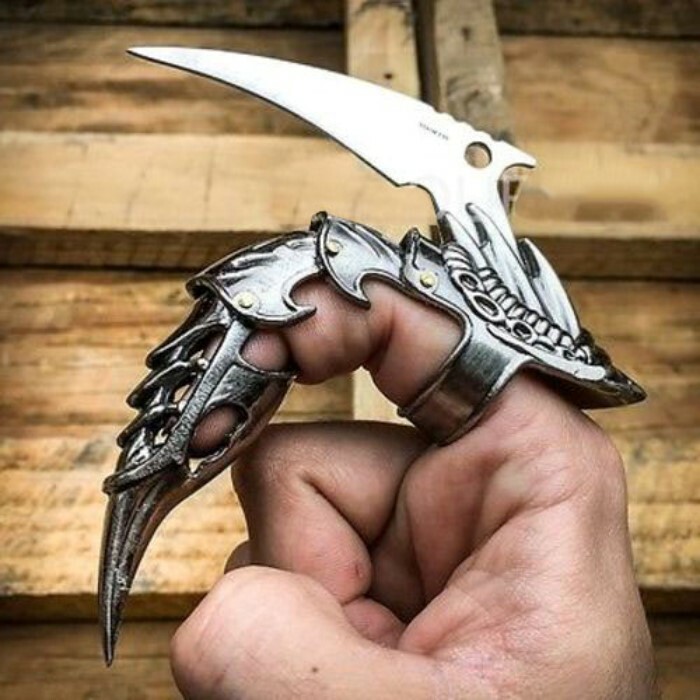 This is great, but at one of the "hinges" of the "finger" gets kind of stuck and doesn't bend easily like it should. 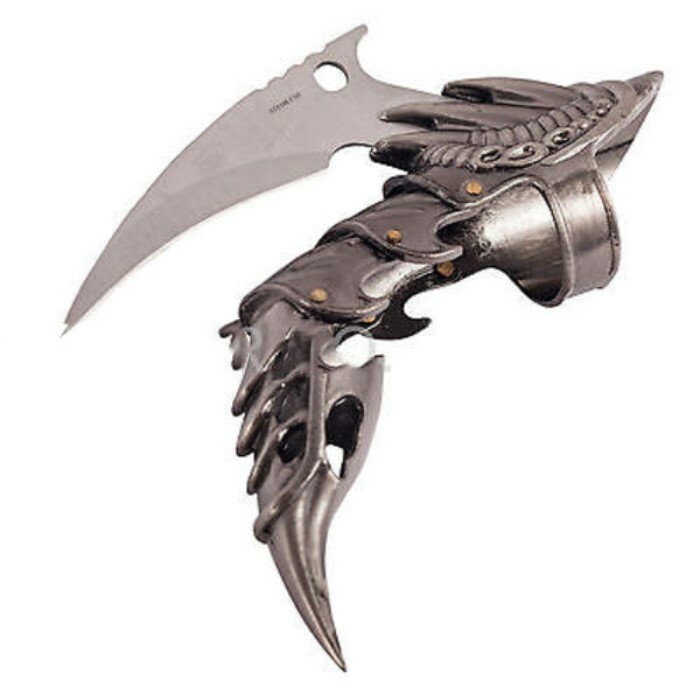 The blade is fairly sharp and the tip of the claw is VERY pointy. 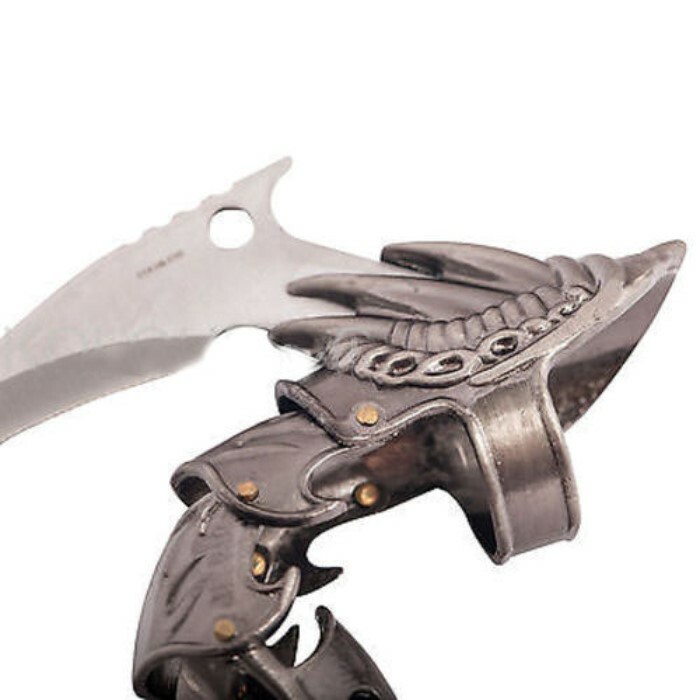 You could sharpen the blade more if you wanted to. Gave it 4/5 stars for the hinge getting stuck issue, some W-D 40 might fix it. Just received it this morning with a sword I also purchased. As usual It arrived in a very timely manner, ordered Wednesday and received on Friday morning. 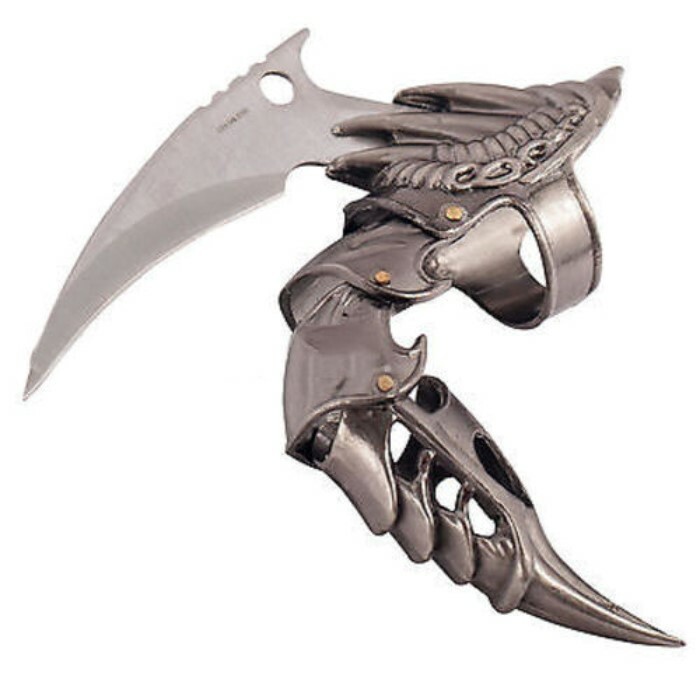 The claw is an extremely nice looking product. I have slightly smaller than average hands so it only fits my middle fingers with ease which is ok because I prefer that look. It feels like a nice quality product and for 8 bucks it is worth every penny. There were/are no flaws in paint or design after examination, at least not on my claw. Great display purchase, fits well with most finger sizes and bends with minimal effort, without being loose. The blade itself was sharp and secure, not a scratch on the black finish. I plan on keeping this with my top pieces in my collection. This thing looked 10x better in person then I thought it would. 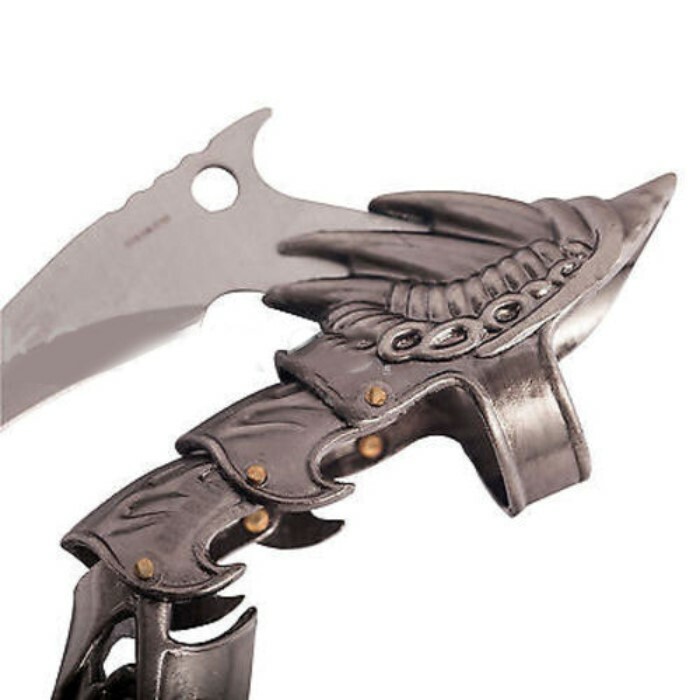 It is or very good quality, sturdy, good blade, and it is built very well. The shipping only took two days, which surprised me. I will definitely be ordering from here again. They were even nice enough to send me a container for display as well as a coupon for my next order. Very Impressed.